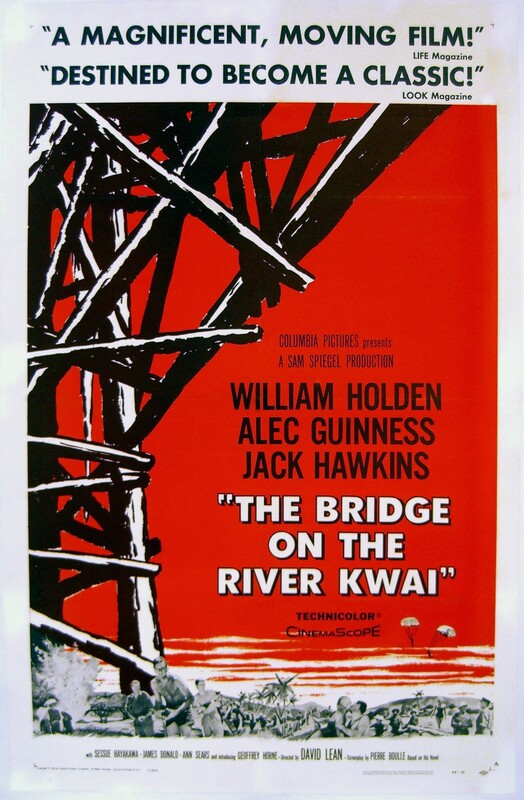 Synopsis: After settling his differences with a Japanese POW camp commander, a British colonel cooperates to oversee his men’s construction of a railway bridge for their captors – while oblivious to a plan by the Allies to destroy it. Did You Know? On the first take of the final bridge sequence, the explosives didn’t detonate. So the train safely crossed the bridge, only to careen off the hill on the other side. Quotables: COLONEL SAITO: Do not speak to me of rules. This is war! This is not a game of cricket. I do really like this movie, but the thing that really irritates me about it is Colonel Nicholson. I don’t have a problem with Sir Alec Guinness, who plays him, I have a problem with the character himself. It really, really irks me that, during Nicholson’s negotiations with Colonel Saito, he explicitly refuses to let Saito put his officers to work. And why does he refuse to let Saito put his officers to work? To keep up appearances of course! What other motivation would an officer have? He’s essentially telling Saito, “You cannot make my officers work. So instead, you can work my enlisted men extra hard and to exhaustion so that they – that is to say, we – get the bridge built on time.” Is not insuring the welfare of his subordinates an officer’s primary job? Granted, had he refused flat-out for any of his soldiers to be put to work, I’m sure they all would have been tortured and/or killed. However, stipulating that only the enlisted will work so that the officers can maintain superiority over their men is really not looking out for the welfare of your subordinates. Then later, Saito asks if they’ll be able to finish the bridge on schedule. Nicholson tells him that no, they will not be able to through no fault of his (Nicholson’s) own. Right… refusing to let your captors force manual labour on your officers, thereby mitigating the amount of workers you actually have was definitely not your fault. Then again, 8 years with self-serving, despotic officers was enough to leave a bitter taste in my mouth.